Palo Alto, Calif. (October 27, 2016) – Point, the first financial technology platform that allows homeowners to sell a fraction of their homes, announced today the addition of two key executive hires. Ryan Randall, CFA, CAIA joins the company as Head of Capital Markets and Matt Brady joins as Legal, Regulatory and Compliance Counsel. 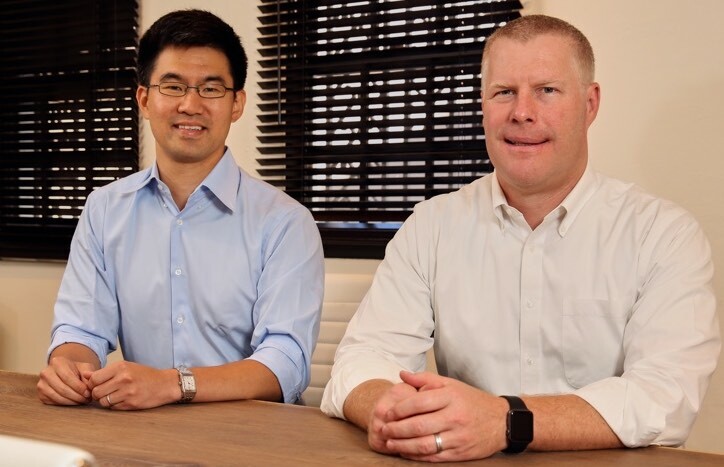 On the heels of Point’s successful Series A round, these appointments strengthen Point’s senior leadership team and further support the company’s next phase of growth. Point provides homeowners with a brand new finance solution and, for the first time, investors can buy fractional interests in owner-occupied residential real estate through a digital platform. Randall will oversee the investor side of the business, introducing institutional and accredited investors to direct participation in the largest asset class in the world. Brady will oversee the company’s legal and regulatory function, steering the rollout of Point’s solution to new states. Randall joins Point with more than 20 years experience in the financial services industry. Most recently he served as CFO at Upstart, a fintech lending platform, where he established the company’s capital markets function and helped attract $800M of loan capital within 12 months of launching its loan product. Previously, Randall was an investment officer at the $6B Fairfax County Retirement Systems and spent nine years with various Bay Area-based hedge funds, most recently with Passport Capital in San Francisco. Brady is a recognized expert in consumer finance law, and on federal and state financial regulations impacting fintech companies. Brady joins Point having held senior roles at SolarCity, practiced law at Reed Smith and served as a Judicial Law Clerk to the Honorable Bernard Zimmerman, former federal magistrate judge of the Northern District of California. He has litigated financial services extensively in the appellate courts and has been instrumental in developing innovative approaches to complex consumer finance instruments. Today, Point serves California and Washington with plans to expand to at least three additional states by the end of the year.